Have your essential-oil-infused-cake and eat it too with this ALL-IN-ONE amazingly priced offer. This bundle has it all. Not only do you get the business training, IPA resources, monthly newsletter, classes, worksheets and unbranded photography, but you gain access to our amazing Facebook community and exclusive Aroma Freedom Technique workshops each month to help you work through roadblocks and envision your life of Wellness, Purpose, & Abundance. I mean... what more could you need? Too busy to draft a beautifully curated and timely email at the beginning of each month to share with your team? No problem. We’ve got you covered. Our monthly newsletter will include; YL promos for the U.S. market, two to four extra products that you can choose to include to educate your members (one will be an everyday product, one will be a “business” oil such as Abundance, Believe, and Highest Potential), photos, and graphics. YL promos for the U.S. market. Stay on track with this customized monthly printable calendar of daily Income Producing Activities. This calendar correlates with our 90 Days of IPA's Bootcamp, Business Training lessons, and monthly classes. It will also provide you with unique IPA's every month that correspond with event's, announcements, and activities in the YL world like rallies, holiday catalog releases, and convention. 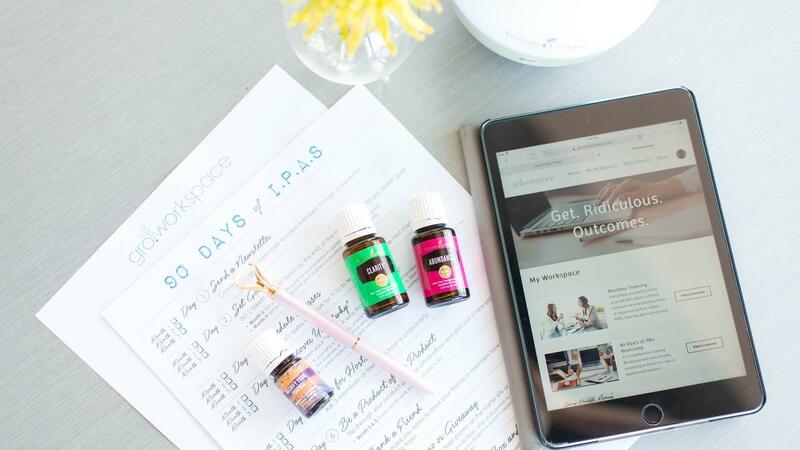 Access to a step-by-step Young Living business training course filled with videos that guide you through building your member community, downloadable tools to track your leads through your pipeline, email templates, leadership training, and more set you up for total success. Each month we will host an AFT session for all PREMIUM BUNDLE members. AFT uses the power of scent to gently shift awareness away from negative thoughts, feelings, and memories, and to initiate a positive outlook and attitude. This results in greater confidence and inner freedom. When you are no longer stuck in negative mindsets you are free to create the life you desire and can GRO your business with ease.